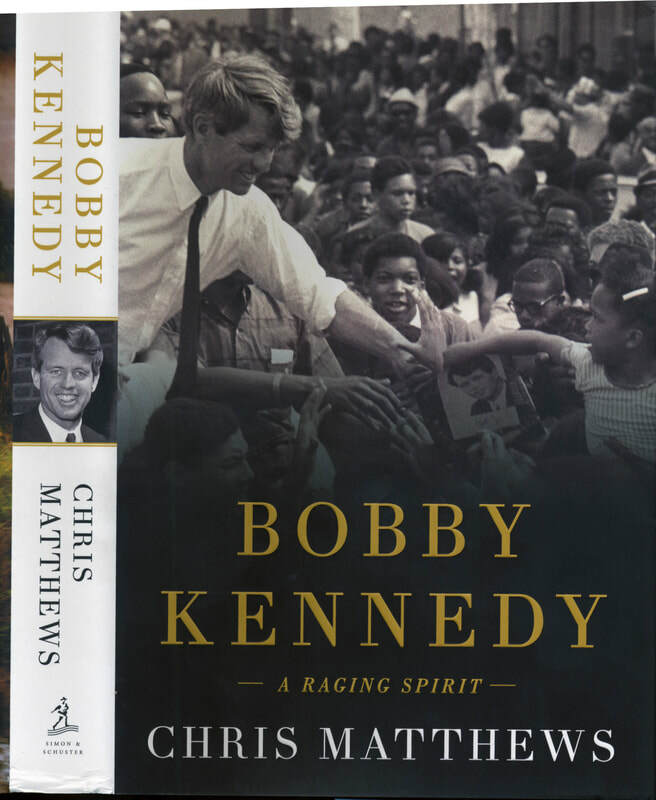 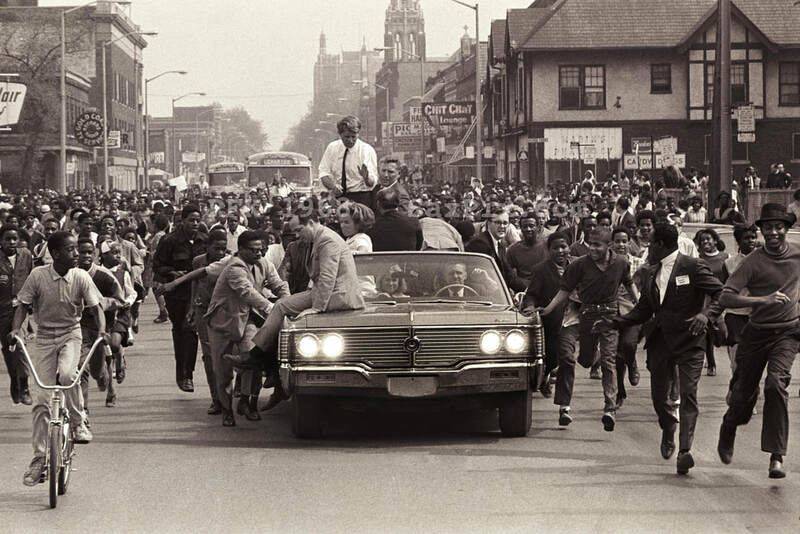 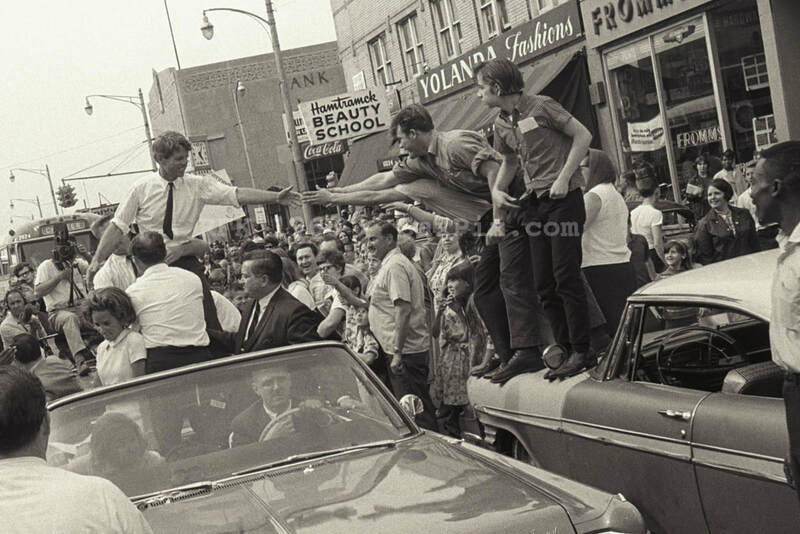 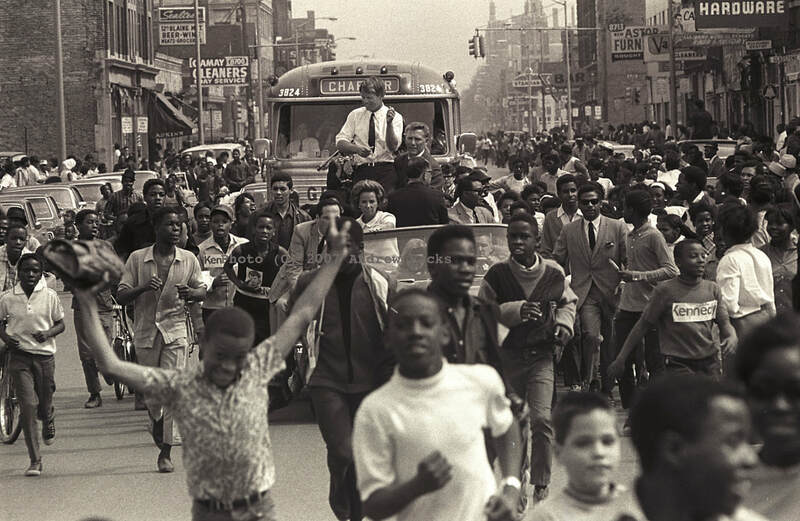 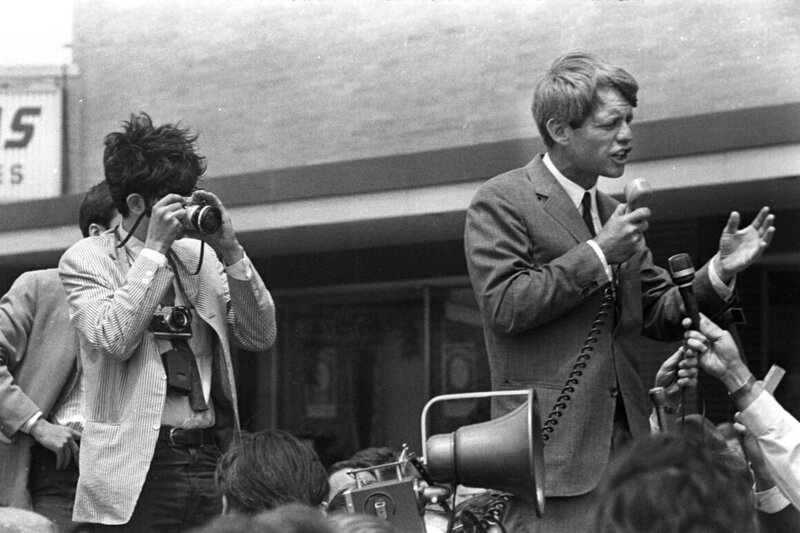 Jay Cassidy, Michigan DAILY photographer, with Robert Kennedy, Detroit photo by Andy Sacks. 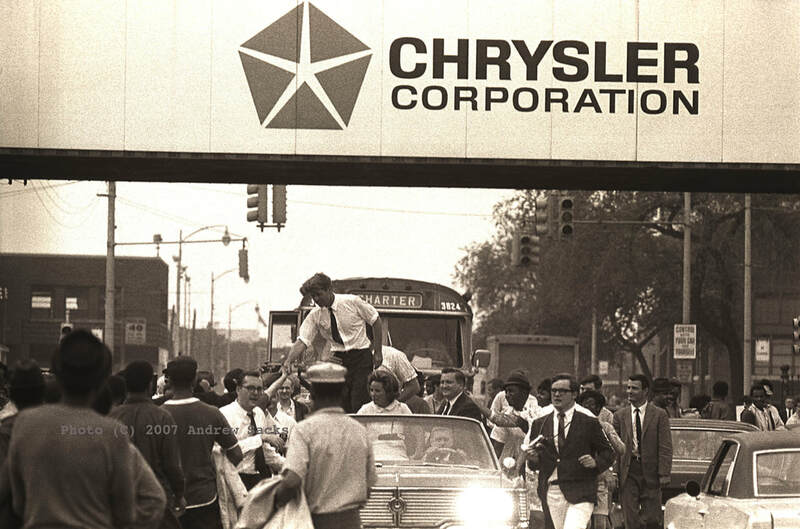 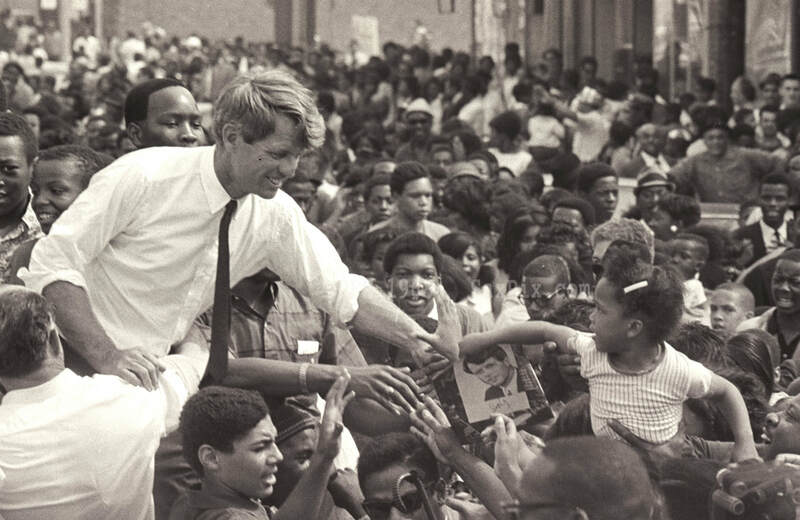 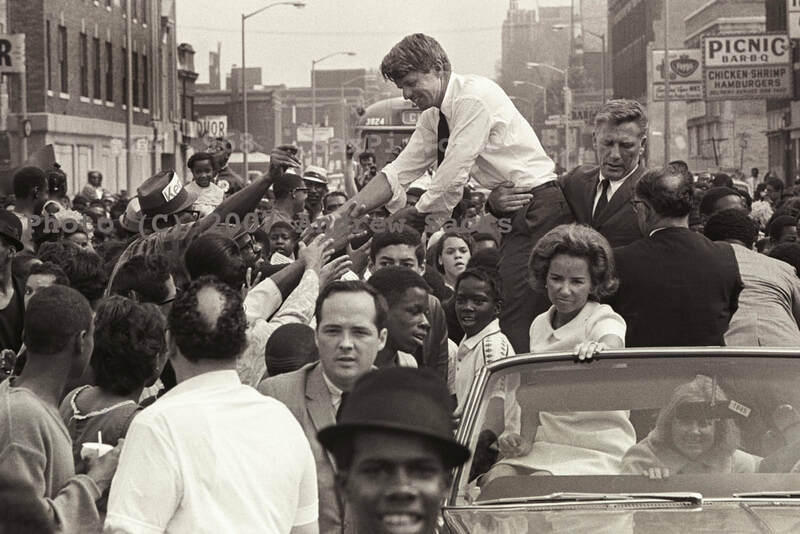 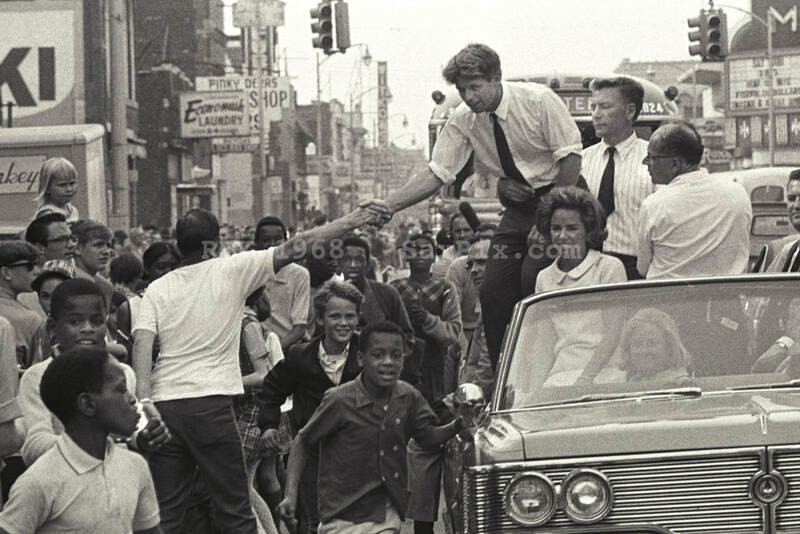 Bill Eppridge, LIFE Magazine photographer, in Detroit with Robert Kennedy. 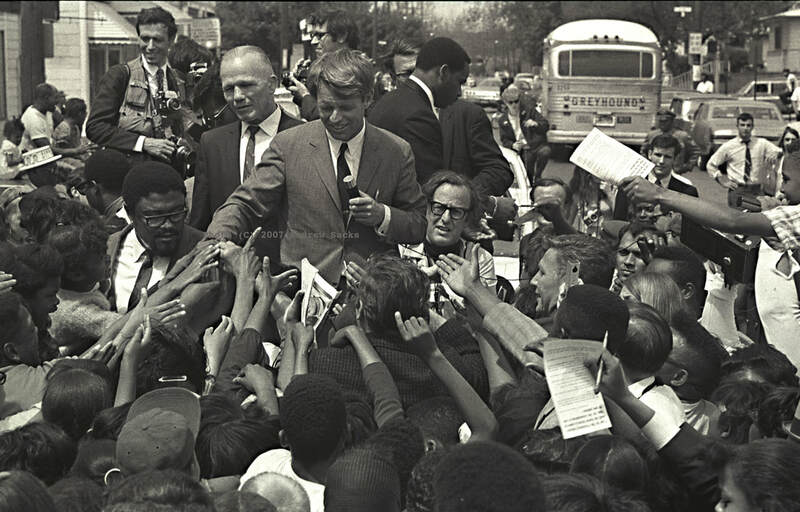 photo by Andy Sacks.